D-Ring binder features an AgION antimicrobial additive that prevents the growth of bacteria, mold and fungus. Locking angle-D ring holds up to 25 percent more sheets. 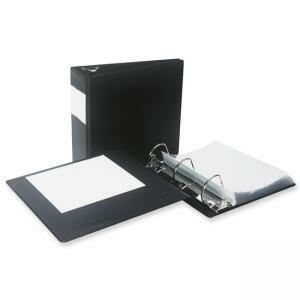 Binder features a label holder on the spine to identify contents and two clear inside pockets. Binder is made of 47 percent recycled material with 43 percent post-consumer material.